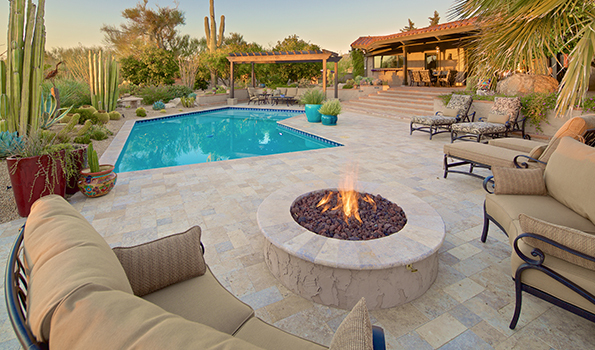 The 4th is just around the corner and many people are planning to spend the holiday enjoying their UNIQUE backyard with family and friends. The weather will be very warm and the sun will be intense so splashing in the pool will be the perfect activity for the kids while parents enjoy the refreshing cool water from a distance clear of the uproar. 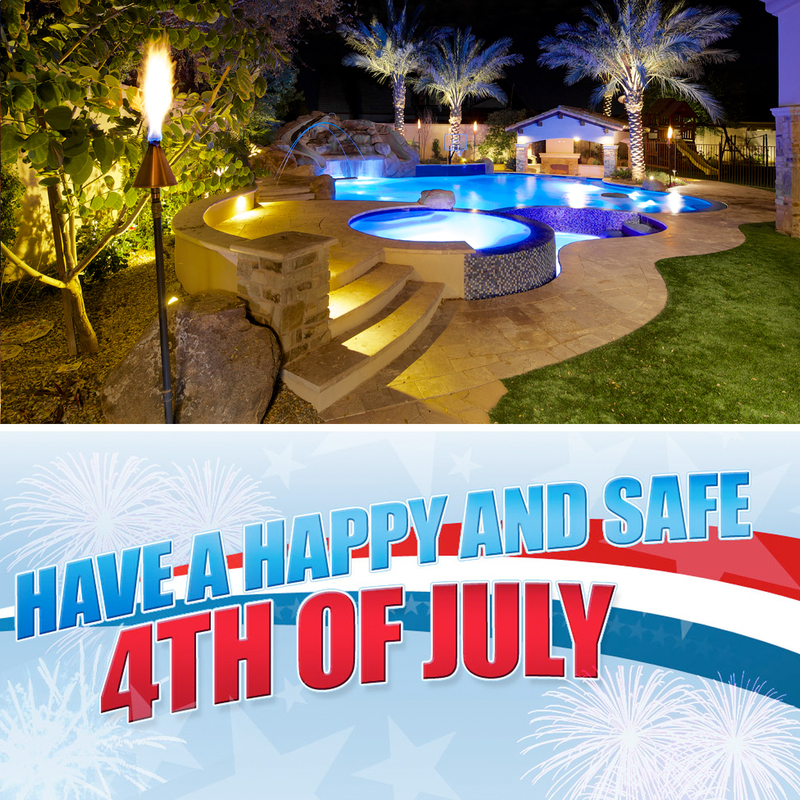 As you enjoy the holiday and your outdoor living space it is important to remember a few tips to ensure that everyone has a safe and fantastic holiday. With the temperature soaring above the 100 degree mark, it is important that everyone remain hydrated. Sugar laden soda is not going to keep kids hydrated in the heat of the afternoon. Better choices include sports drinks, unsweetened tea or water. Parents can make the idea of water more appealing to children by offering pieces of melon, strawberries, blueberries or citrus fruit added to water bottles for a custom flavored fruit infused water. Adults also need to drink plenty of water and remember that as refreshing as some adult beverages can taste on a hot summer day, the alcohol can increase dehydration. So share some fruit infused water with the kids to make sure everyone remains hydrated to enjoy the holiday to its fullest. The sun will be very intense over the holiday so be sure to stock up on plenty of sun screen. And remind both kids and adults to reapply sun screen often as it washes off in the pool and due to the extreme sweating that occurs in Phoenix. It is also a good idea to have plenty of shaded areas to relax and take a break from the heat and the damaging rays of the sun. For a fast way to cool down, moisten a few dozen wash cloths or hand towels in cold water. Wring out excess water, roll the towels and place them on ice in a small cooler. Cool towels are a great way to refresh your body and wipe off sticky hands and faces before they return to the summer fun. Your grill is certain to be the center of attention come meal time this 4th of July. So be sure that it is clean and in good working order prior to your holiday cookout. Cooked on old oil and grease build up can easily cause flames to flare up and create a fire hazard as well as ruining anything on the grilling surface. Also, be sure that guests remain several feet away from the grill as it will continue to hold extreme heat well after you are finished cooking. Serving food on a table or bar area away from the grill is always a good idea as it minimizes the chance of children or adults accidentally getting burned by the hot grill. Kids always look forward to the 4th of July for an evening of fireworks. But adult supervision is always a must. If you are allowing children to have sparklers or other fireworks, fill a bucket with water so that any hot remnants can be immediately immersed in water. This will help to reduce the chance of anyone getting burned and also will reduce the chance of a stray sparkler starting a fire in dry grass or other flammable materials such as towels or rugs. Older children can safely enjoy fireworks with adult supervision, but it can be more difficult for smaller children to enjoy the color and the pretty light in a safe manner. But some great options for the little ones include glow necklaces, light sticks, glow stick toys and even glow stick beach balls. Adding colored light to even the simplest of toys will add excitement for small children in a safe manner and give parents peace of mind. 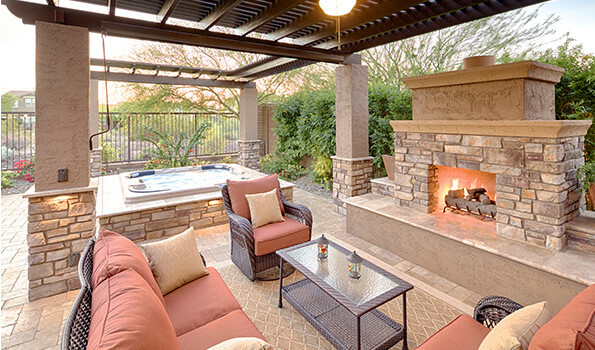 The 4th of July is a great time to enjoy your outdoor living space with family and friends. So take just a few minutes to follow these tips to be certain that everyone has a fun and safe holiday.